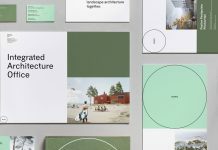 Art direction, branding, and graphic design by studio FACE for Hicks, a new-generation real estate group with big ambitions. 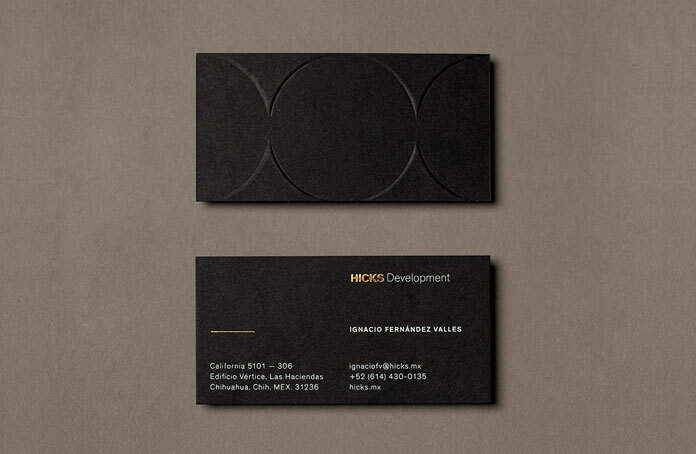 Hicks is a premium real estate group located in Chihuahua, México. They specialize in development, custom solutions, and diverse capital branches. Together with architect Fernando Romero in Chihuahua, they are in the process of expanding their business across the whole country. Please read more about the branding project below the first image. Hicks, a new-generation real estate group with big ambitions. 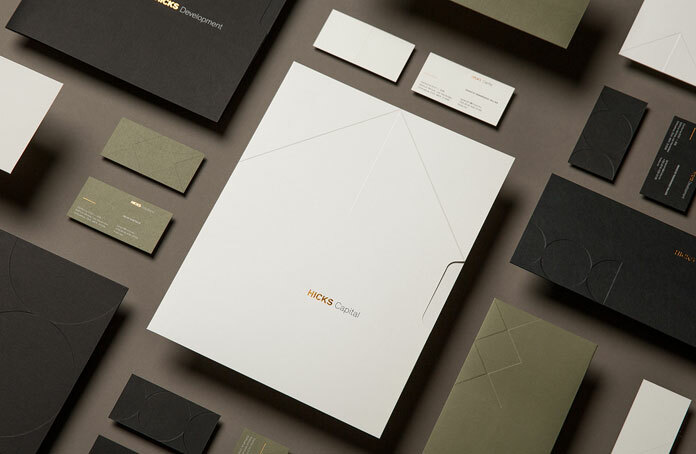 A premium identity solution for a premium real estate group. 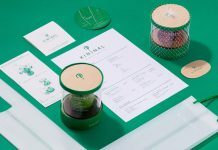 Monterrey based studio FACE was asked to develop a brand new visual experience, which reflects the brand’s sophisticated approach. The new identity system clearly divides the real estate group into 3 areas consisting of Capital, Development, and Solution. All 3 areas work hand in hand in order to realize amazing projects. 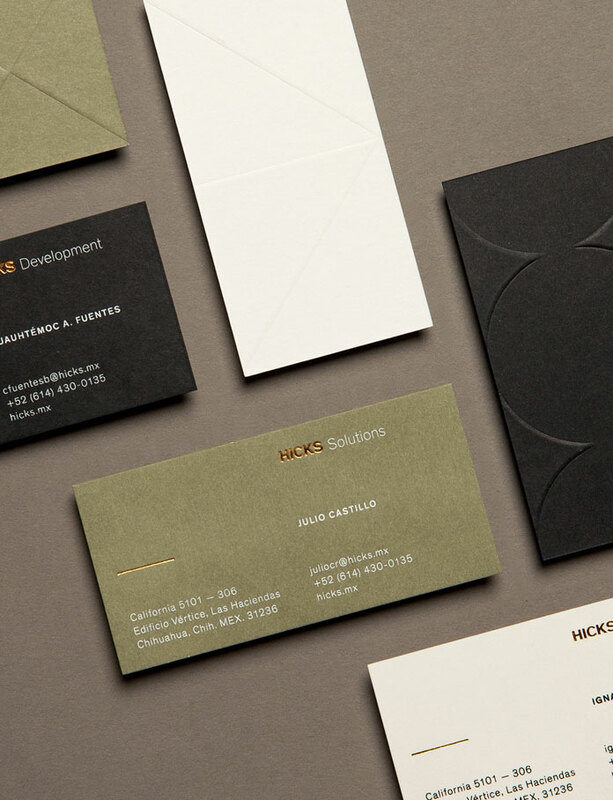 Studio FACE has created a simple yet modern identity, which combines all 3 areas under a uniform design concept. On the other hand, each area has its own color scheme as well as a specific set of geometric patterns. The sophisticated result conveys a timeless look and feel. 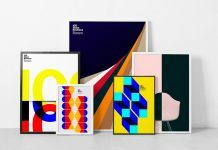 Art direction, branding, graphic design by studio FACE. 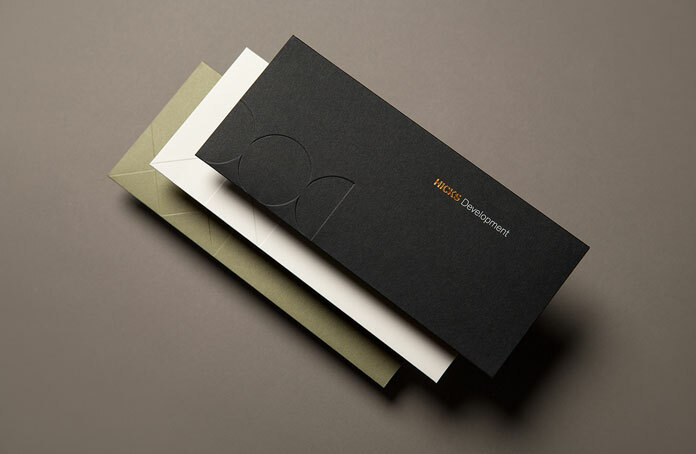 Sophisticated print design using gold foil and embossing effects. 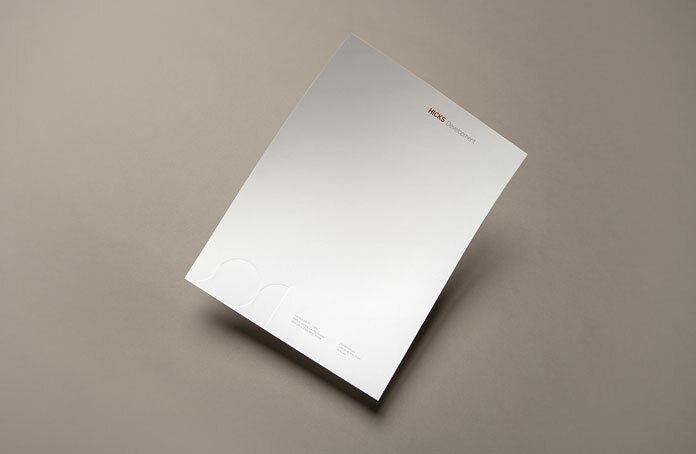 The letterhead design seems quite simple and restrained. Hicks Development. 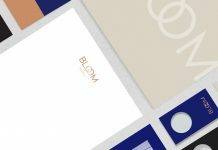 Each business field received its own identity concept based on a unique color palette and graphic language. 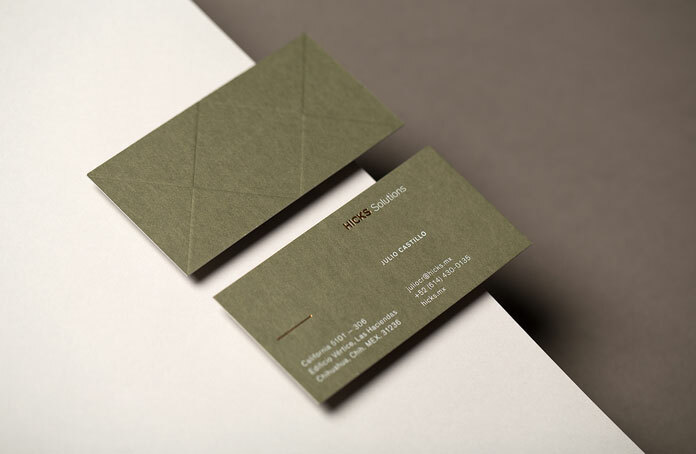 Hicks Solutions – business cards. 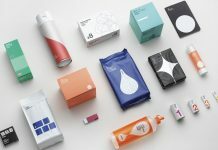 The complete brand identity conveys a simple, clean, and modern look. 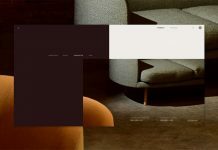 Do not hesitate and discover more inspiring projects on WE AND THE COLOR. 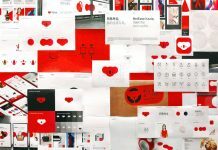 Our Graphic Design and Branding categories include a wide range of diverse projects. 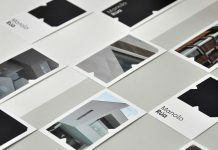 We show you the latest design trends as well as unique and classic solutions. 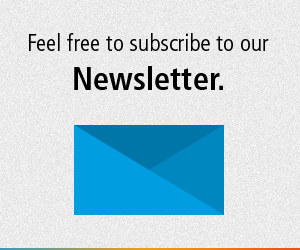 WE AND THE COLOR is your source for the daily dose of design inspiration!